O'Rourke acknowledged his relationship with Rogers as both a friend and donor, but denied that either played a role in his decision to sell her the property. "Isha Rogers is a fellow El Pasoan and someone who has been buying, or owns, apartment buildings in the same neighborhood as the Imperial Arms, which is the building that we owned and sold to her," O'Rourke said. 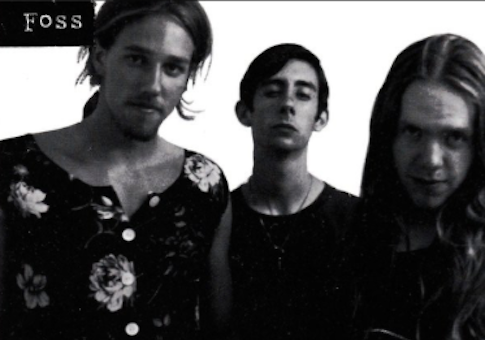 O'Rourke refused to provide the Washington Free Beacon with a more precise valuation than the broad $1,000,001 to $5,000,000 range that is stated on financial disclosure forms. "I don't have the books on it in front of me, and even if I did it's probably not something that I would disclose," O'Rourke said. He also refused to disclose how much the building was sold to Rogers for, but said that the price was not influenced by political contributions. "We each had to find a price that would work for us, and it had to be something where we were going to make money and where she felt like she would be able to make money operating it," O'Rourke said. "It was not influenced by the campaign and it was not influenced by our relationship." Rogers's donations to O'Rourke appear to be more due to their personal relationship than any partisan affiliation with the Democratic Party. Back in 1992, Rogers contributed $2,000 to O'Rourke's father Pat O'Rourke, who was running for Congress as a Republican. She has also contributed thousands to Texas Republicans such as President George W. Bush, Sen. John Cornyn, and former Sen. Kay Bailey Hutchinson. O'Rourke and his mother, Melissa O'Rourke, became co-owners of the apartment complex in 2001 after the death of his father, who purchased the building over three decades ago. He gained local praise in 2010 for investing in renovating the building's eighteen units. That same year, however, his mother pleaded guilty to a federal charge carrying a $250,000 fine and five years of probation for a furniture company she owned. The charge came after IRS agents raided the store and discovered that cash payments were being structured in a way that evaded disclosure requirements. She said that the criminal investigation was caused by a "clerical error that no one profited from." O'Rourke says that the decision to sell the building was made because managing it became too difficult. "It's just been tough to keep it leased, market it, make sure we're doing all the necessary management work, and, you know, do what we're doing—serving in Congress and raising our kiddos," he said. "When Isha was interested in the building, we talked to her and ended up selling it to her." The building was purchased through St. Rogers LLC, which was formed by Rogers in May 2016. The company was initially called Four Twenty Associates LLC, but its name was changed to St. Rogers on February 16, 2017—eleven days before the Imperial Arms purchase. It is unclear why the name was changed from Four Twenty Associates. The company is registered at Rogers's house—an estate with a "gorgeous three-tiered yard" and a "waterfall grotto" that is often used to host fundraisers. Rogers and her siblings have used the family's wealth to contribute generously to El Paso's art community. The new St. Rogers management team said in an email that "the new owners are going to make several capital improvements to the building" and that available two-bedroom units can be leased for $1,100 a month. This entry was posted in Politics and tagged Congress, Senate, Ted Cruz, Texas. Bookmark the permalink.